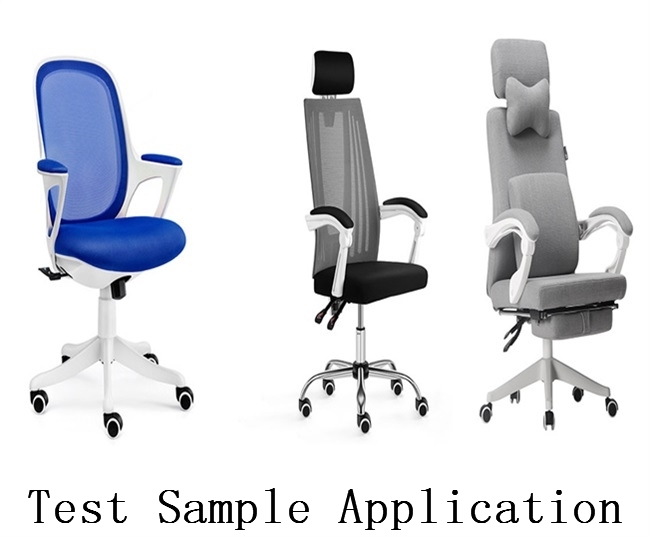 Chair Back Bending Test Machine for seat rest and backrest acc. to EN 1728, EN 5812, BS 4875, EN 1335, DIN 4551,BIFMA 5.2-2017.9 and BSI/BS 5459, 2 actuators, load controlled tested units are subjected either to the entire test procedure prescribed by the standards or to selected individual tests. The test axes each have their own controllers assembled in the immediate vicinity, which are operated from a Touch panel and controlled by PLC. 1. The main structure of the machine is made of aluminum, beautiful and easy to maintain. 2. Servo motor drive, test loading control is more accurate, and the noise is even smaller. 3. 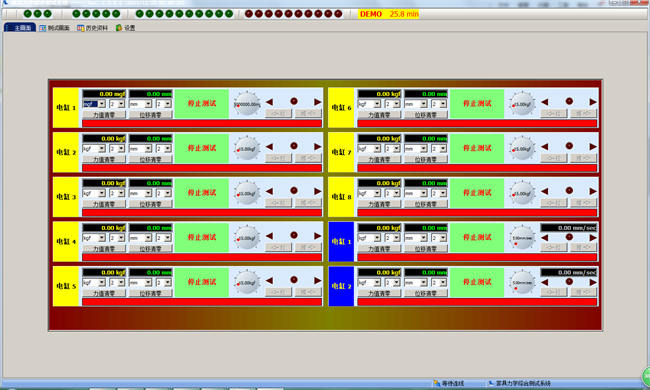 PLC touch screen control makes the operation more convenient. 4. 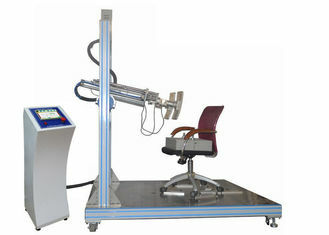 In addition, the machine loading device using electric control movements, more extensive test space.